No!! I haven’t been procrastinating!! In fact, i have been really busy with meetings, consultancy, interviews, fell sick, etc.. etc… ok! No excuses! Back to what i was suppose to be doing. WRITE!! I was really fortunate. 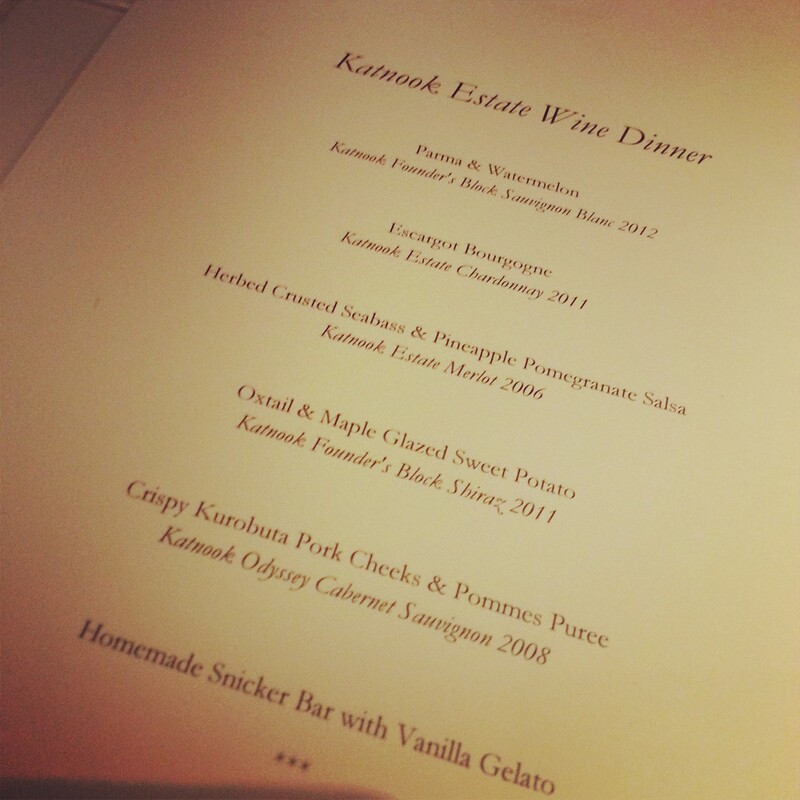 Fortunate to be invited to this wine dinner early last week, together with Crystal Wines and Skyve wine bistro, we were all treated to a wonderful dinner with great wines and food, compliments from Katnook Estate and the artistic creation of flavours by Chef Jachin, brother of Celine, owner of Skyve Wine Bistro. The brother & sister duo did made an impression on me, so much so that i went back the very same weekend to savour their brunch menu! Situated right in front of the Anglo Chinese School (Junior), Skyve is just like a quaint little “garden restaurant” that is hidden away from the hustling bustling city full of honks, exhaust fumes and stressful people walking all about. Blessed with natural greenery surrounding the Bistro, Skyve’s ambience was perfect for a family brunch/lunch out in the day and a romantic setting with natural light passing through the large glass panels accompanied with the warm interior decorations within the restaurant for couples who plan to have a romantic night out. Most importantly, the whole set-up of the restaurant -as mentioned by Celine- was to give diners their privacy, not pushing to the limits of having too many tables and chairs that you could perhaps hear what’s the other couple’s “plans for the night” -~Cheeky! sounds like a fairytale… but yeah, it’s true! TRUST ME, i was there during both the daytime, and also at night, i had nothing, but praises for the 20 month old bistro. No wonder they have so many regulars who comes almost every other day! Back to the wine dinner. Glad that Celine enjoys wines, the pairing for the night was indeed the highlight! I’ve been to wine dinners, in fact many that really disappointed me. Not because either the wines or food was bad, it was just that the whole experience of pairing was off, and it kinda misrepresented both the wine and the food as a whole. Let’s begin with the menu! WAIT!! I have to say something very important! – Their bread was really really REALLY good! – Sorry, just needed to say that because some other restaurants, sadly serves cold bread that’s really uninteresting… Always remember, in a french setting, bread is often the first “dish” that is served to a customer, and it sets the expectations. A bad bread = to a bad first impression. So never forget the simplest things, it all makes a difference! Aromas of green apples, lemon, citrus fruits. Secondary notes of freshly cut grass and a hints of thyme. Beautiful acidity with apple notes and a slight hint of lime on the finish. Paired with our first course of Parma & Watermelon. Acidity of the wine cut through the richness of the Parma Ham while keeping the freshness that matched well with the watermelon, opening our appetite for the dinner ahead! A very old-world styled wine with notes of vanilla, oak, hazelnut and white mushrooms. On the palate, creamy and rich with a good touch of acidity and nuttiness. Paired with Escargot Bourgogne that was topped up with a rich garlic butter & herb sauce. Perfect pairing! Richness of the sauce was well balanced by the creaminess of the Chard while the fresh acidity in the wine flushes the flavours of the garlic and herbs, refreshing the palate for next course! Why an astrix beside the wine? Well, it’s because i personally felt that the 06′ Merlot was really showing well for the night! Aromas of prunes, dark fruits and violets, the flavours were subtle, yet complex. On the palate, smooth and light to medium-body, silky tannins with a long finish, Indeed a perfect wine to just sip along for the night. Surprisingly, the choice of pairing for the wine was to go along with a herb crusted sea bass & pineapple pomegranate salsa. One who is bias and follows the book would probably think how on earth would this pairing even complement each other. We were always taught white wine with fish or white meat, the most you would go is perhaps a light red such as a Pinot Noir. But you’ll be surprise how well the Merlot complemented the fish in this case. Professional and daring, Chef Jachin went ahead with the choice of fish to go along with the Merlot, he made it right on the spot! To my surprise, because the wine was so light and smooth, tannins were almost soft enough to go along with the fish, adding on to the dish, the salsa which had a little spice in it, lifted the whole experience of just having a plain fillet of fish with butter sauce. I reckon that that was the whole reason why it went so well together. Claps!! Black pepper, capsicum, cumin, star arneis and hints of earthiness, the wine was big, full-bodied and rich. A good balance of acidity and tannins, this wine could perhaps be aged for another 10-15 years, if not, decant it for 2 hours to enjoy if you have to open now. Paired with the oxtail & maple glazed sweet potato. The tannins of the wine broke down the proteins and richness of the oxtail while adding some spice to the rich red-wine sauce that was accompanied with the meat. Ending off with a bite of Maple Glazed Sweet Potato, my whole palate was exploded with flavours! I loved this! The pairing of having a full-bodied wine with a rich red meat was just right for me! Pepper, cigar, capsicum, mint, cocoa and dark fruits, the 08′ Cab Sauv was rich and full-bodied with a med-long finish. Paired with crispy Kurobuta pork cheeks & pommes puree. My honest opinion, probably not the best pairing compared to the previous few mentioned above. The flavours of the pork was really good, in fact the 12 hours sous-vide method that Chef Jachin used really enhanced the flavours of the pork cheeks, but sadly, the Cabernet Sauvignon was a little more full-bodied and rich, the flavours of the meat was slightly masked by the wine. 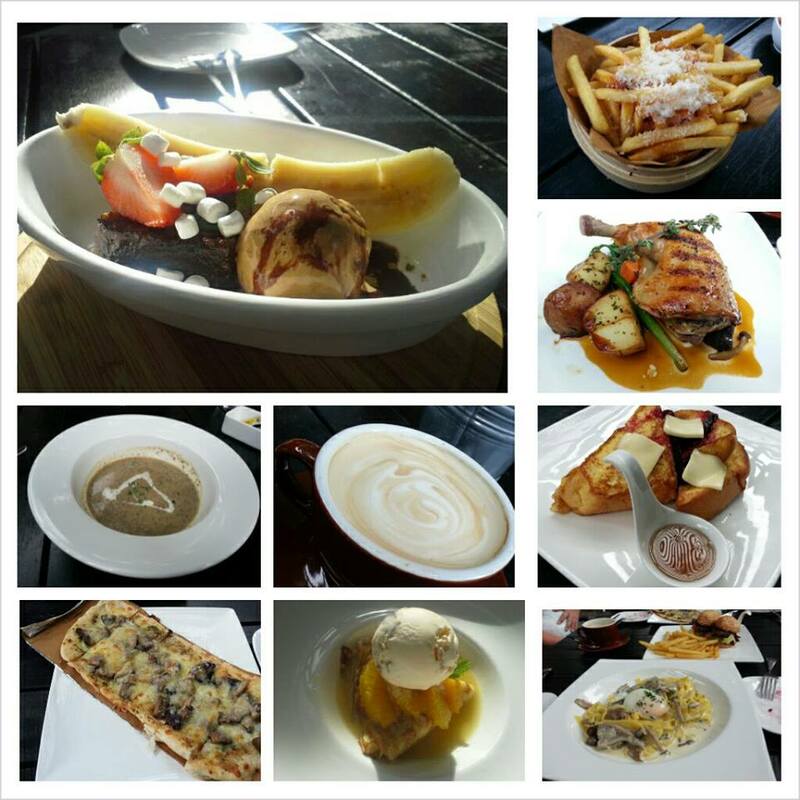 Nevertheless, if you were to have them individually, they are really good dishes and wines on its own. Katnook Estate wines are available at Crystal Wines, click HERE to view the prices.